NETWORK is the archetypal collection of RODA, the one which has represented and still represents the soul and the history of the company and that fully expresses the concept of in & out. A product line whose highly distinctive feature is the marked presence of solid teak, a modular system for living and relax situations: NETWORK, that is. The brilliant providence of the project has been to turn the skeleton of the backrest into a perfect shelf where leaving the objects of the everyday life. 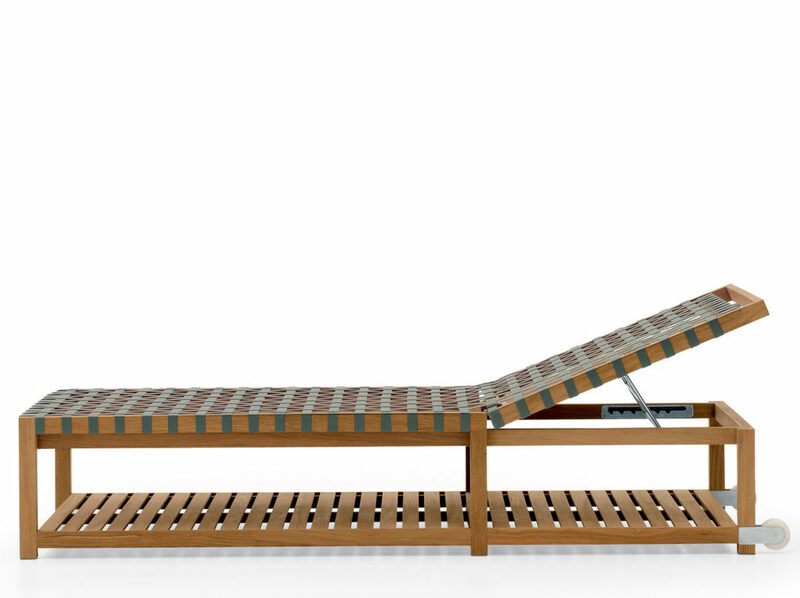 The sunlounger is made of a teak frame combined with woven polyester belts and of a lower support to hold the accessories of rest & relaxation. It is provided with wheels and with a teak bar for towels.